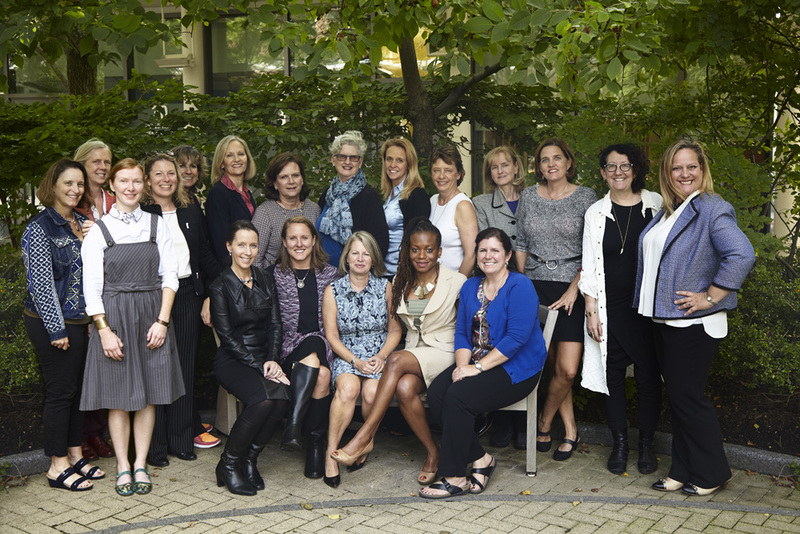 We have a global advisory committee that is responsible for reviewing new partnerships that build out our women’s angel training program, regional funds, and expanding global network of women in early stage investing. Brigitte is the Founder and CEO of Go Beyond Ltd., is an active Business Angel and serves on a number of selection and investment committees in Europe including the WEF’s Tech Pioneers. She is a Member of the Präsidium of KTI, the Swiss commission for Innovation and Entrepreneurship. Brigitte is President Emeritus of EBAN, the European trade association for Business Angels and Seed Funds, previously holding the title President for two terms and also chairs Young Presidents Organization’s global Angel Investing interest group. Brigitte has 15 years of experience in bringing new technologies to market in the US and Europe. She was the CEO and Director of iWORLD Group, a VC backed, global developer of mobile content. She came to iWG from American Express Corporate Services where she held the position of Senior Vice President and General Manager Internet. Whilst there she launched a variety of new internet businesses including online travel (strategic partner of Expedia.com), e-Procurement, online servicing of cards and online payment. Prior to that, Brigitte spent three years as President for US and Canada of GEMPLUS (now Gemalto), the world’s leader in smart card technology and applications to orchestrate the introduction of smart cards to the US. She moved to GEMPLUS from American Express TRS Inc., where she had spent over six years in different Vice-Presidential/General Manager positions in the UK, France and Switzerland. She also spent five years with McKinsey & Company Inc. as Senior Engagement Manager, based in New York, Paris and Tokyo. She began her career in manufacturing and sales with Rohm & Haas, a leading specialty chemicals company. Brigitte holds a B.Sc. in Chemical Engineering from Tufts University, Boston and an MBA in Finance from the Wharton School at the University of Pennsylvania. She has been the subject of a Harvard Business School case study. Born and raised in France, Brigitte and her family now live in Zurich. She is the Managing Partner of Rising Tide Europe Fund I, Rising Tide Europe Fund II, and Rising Tide Switzerland 1. Heather is a socially motivated finance professional who has lived and worked in the UAE, Egypt, Lebanon and Palestine over the last 15 years. She was the founding General Manager of Grameen-Jameel Pan-Arab Microfinance Ltd., a social business jointly owned by Grameen Foundation and Abdul Latif Jameel Group. Under Ms. Henyon’s leadership, Grameen-Jameel originated, structured and closed $44 million in leveraged commercial debt financing for microfinance institutions in Syria, Jordan, Egypt, Morocco and Tunisia. She is deeply knowledgeable of the Arab microfinance sector from having assessed more than 65 microfinance institutions in the region for partnership with Grameen-Jameel. Prior to setting up Grameen-Jameel, Ms. Henyon worked for Standard & Poor’s as a corporate bond ratings analyst in the capital goods and auto supplier sector. She is proficient in Arabic and French, and she has six years of microfinance industry experience and eight years of financial services and consulting background in the private sector. Ms. Henyon is the advisor to CoFund, a Dutch microfinance private equity fund, and she serves on the Advisory Council of BR Microcapital, Cornell University’s microfinance fund. She is Chair of the Dubai Microfinance Club, Co-Chair of Cornell University’s Johnson Middle East Alumni Club, and a member of 85 Broads and Net Impact UAE. Ms. Henyon holds an MBA from the Johnson School at Cornell University, where she was a full-merit Park Leadership Fellow scholarship recipient, and a BA from Oberlin College. She was an LP in the Rising Tide Europe Fund I and leading Rising Tide MENA. Ndidi has 15 years experience in strategic management, corporate sustainability and responsibility, advisory services, microfinance, rural development, project design and implementation, capacity building, enterprise development, and corporate governance spanning the private sector, public sector and civil society in Africa and Europe. As the Chief Strategy Officer of Strategy and Execution Ltd, Dr Ndidi Nnoli-Edozien consulted for the Ministry of Agriculture and Water Resources on the development of the National Food Security Program (2008-2010). Dr Ndidi Nnoli-Edozien was responsible for stakeholder consultations including organising the RAISE Nigeria Forum 2009. She has also organised and convened various international conferences including the Rural Telecommunications Conference in 2000, organized for NTCA, USAID and NCC, the Digital World Conference Africa in 2006 and the 6th Annual Forum and 48th Council Meeting of the Commonwealth Telecommunications Organisation in 2008. She has established the largest ‘Bottom of the Pyramid Platform’ in Nigeria, which has been managing CSR Projects for multinational corporations including Citibank, MTN, ExxonMobil, Coca-Cola, NLNG, EcoBank, VISAFONE, and public sector organizations including the Universal Service Provision Fund, the Nigerian Communications Commission (NCC) over a ten year time span, among others. GBF coordinates projects among a network of leading Microfinance Institutions and Co-operatives with a cumulative outreach to approximately 5 million entrepreneurs at the grassroots in Nigeria. Dr Nnoli-Edozien previously served as the Director of Strategy & Monitoring and Head of the CEOs Office at the Nigerian Communications Commission, and was the Founding Head (Vice President) of SecTrust Asset Management (now Afrinvest West Africa). She holds a BSc (Economics) from the London School of Economics and Political Science (LSE), a Diploma in Catholic Social Teaching; and undertook her PhD at the Johann Wolfgang Goethe University, Frankfurt am Main, in the area of “Ownership and Management Structures” with a specific focus on the global applicability of “an African Model of Corporate Governance and Sustainability”. Her status as a social entrepreneur was recognized by the Bertelsmann AG to whom she is affiliated as a Reinhard Mohn Fellow. She is also an associate member of the tt30 Club of Rome and participated in the pioneer conference of the ‘Partnership with Africa’ Initiative of Professor Dr. Horst Koehler, President of the Federal Republic of Germany. Ndidi is leading Rising Tide’s efforts in Africa. Alicia is the Founder and CEO of Next Wave, as well as a managing parter of two funds and limited partner in three funds. She was a Senior Fellow with the Kauffman Foundation (www.kauffman.org) for more than a decade and is the Founder and past Executive Director and Board Chair of the Foundation for Sustainable Development. (www.fsdinternational.org). Dr. Robb received her Ph.D. in Economics from the University of North Carolina at Chapel Hill. She has previously worked with the Federal Reserve Board of Governors and the Office of Economic Research in the SBA. She is a prolific author on the topic of entrepreneurship. In addition to numerous journal articles and book chapters, she is the co-author of Race and Entrepreneurial Success published by MIT Press and A Rising Tide: Financing Strategies for Women-Owned Businesses and The Next Wave: Financing Strategies for Growth-Oriented Women Entrepreneurs by Stanford University Press. She is a guest contributor to outlets such as Forbes and Huffington Post. An active angel investor, she invests and advises many firms around the world.